Augmented Reality, the buzzword of corporate boardrooms and the talk of developers’ town. A topic talked about so much, yet understood so little. 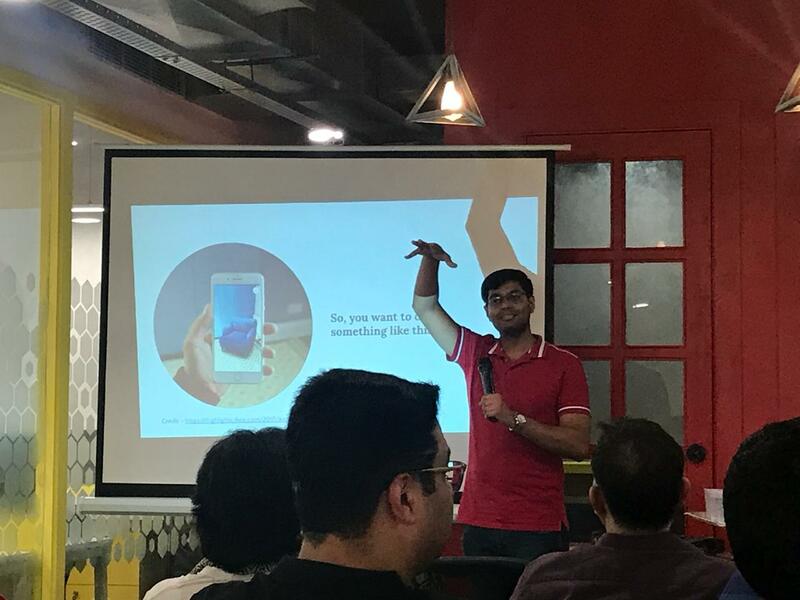 I had the opportunity to speak on AR at a meetup yesterday. Tending to a mixed crowd of practitioners and (mostly) mid- to upper-management audience, my presentation was technically deep enough to allow practitioners to take the knowledge home and start and AR experiment of their own and decision makers to start prototyping based on the newly learned possibilities. Judging by curiosity of the audience and people’s various (good) questions, I think it’s fair to assume that the session was well-received. I’m embedding the PPT deck below in hopes it will help the audience at large. As for the demos, I showed one each for marker-based and marker-less AR. For marker-based, I used AR.js sample app linked here. For marker-less, I chose Vuforia View sample app (iOS, Android).